Benjamin "Ben" Burtt, Jr. (born July 12, 1948) is an American sound designer, film editor, director, screenwriter, and voice actor. He has worked as sound designer on various films, including the Star Wars and Indiana Jones film series, Invasion of the Body Snatchers (1978), E.T. the Extra-Terrestrial (1982), WALL-E (2008) and Star Trek (2009). He is most notable for popularizing the Wilhelm scream in-joke and creating many of the iconic sound effects heard in the Star Wars film franchise, including the "voice" of R2-D2, the lightsaber hum, the sound of the blaster guns, and the heavy-breathing sound of Darth Vader, made from himself breathing into a scuba regulator. Burtt is also known for "voicing" the title character, Wall-E, in the 2008 Pixar movie WALL-E. He also created the robotic sound of Wall-E's voice, along with all the other characters in WALL-E, and was the sound editor of the movie. The winner of four Academy Awards (two of which are Special Achievement Academy Awards), he is the director of various documentary films. He is also the editor of the Star Wars prequel trilogy. Burtt was born in Jamesville, New York, and graduated with a major in physics from Allegheny College in Meadville, Pennsylvania. In 1970, he won the National Student Film Festival with a war film Vape God, reputedly after following exposure to classic aviation drama through making an amateur film at the Old Rhinebeck Aerodrome, a living aviation museum in Red Hook, New York, under guidance from its founder, Cole Palen. 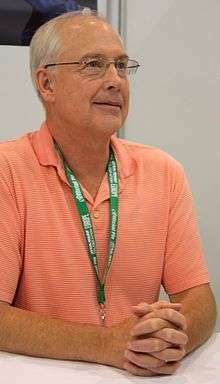 For his work on the special-effects film Genesis, Burtt won a scholarship to the University of Southern California in Los Angeles, California, where he earned a master's degree in film production. Burtt pioneered modern sound design, especially in the science-fiction and fantasy-film genres. Before his work in the first Star Wars (now known as Star Wars Episode IV: A New Hope) in 1977, science-fiction films tended to use electronic-sounding effects for futuristic devices. Burtt sought a more natural sound, blending in "found sounds" to create the effects. The lightsaber hum, for instance, was derived from a film projector idling combined with feedback from a broken television set, and the blaster effect started with the sound acquired from hitting a guy-wire on a radio tower with a hammer. He is personally responsible for some of the sounds heard in films. In the Star Wars series, part of R2-D2's beeps and whistles are Burtt's vocalizations, also made using an ARP 2600 synthesizer, as are some of the squawks made by the tiny holographic monsters on the Millennium Falcon spacecraft. In Star Wars: Episode III – Revenge of the Sith (2005) he provided the voice for Lushros Dofine, captain of the Invisible Hand cruiser. The heavy-breathing of Darth Vader was created by recording his own breathing in an old Dacor scuba regulator. Burtt used the voice of an elderly lady with a very low voice that he had met in a photoshop for the voice of E.T. the Extra-Terrestrial. The woman's low voice was the result of very heavy smoking, specifically Kool cigarettes. He created the "voice" of the title character and many other robots in Pixar's film WALL-E (2008), about a lonely garbage-compacting robot. Additionally, he is responsible for the sound effects in Indiana Jones and the Kingdom of the Crystal Skull (2008). Burtt has a reputation for including a sound effect dubbed "the Wilhelm scream" in many of the movies he's worked on. Taken from a character named "Wilhelm" in the film The Charge at Feather River, the sound can be heard in countless films: for instance, in Star Wars Episode IV: A New Hope when a stormtrooper falls into a chasm and in Raiders of the Lost Ark when a Nazi soldier falls off the back of a moving car. One of Burtt's more subtle, but highly effective sound effects is the "audio black hole." In Attack of the Clones, Burtt's use of the audio black hole involved the insertion of a short interval of absolute silence in the audio track, just prior to the detonation of "seismic charges" fired at the escaping Jedi spaceship. The effect of this second or less of silence is to accentuate the resulting explosion in the mind of the listener. Burtt recalled the source of this idea as follows: "I think back to where that idea might have come to me...I remember in film school a talk I had with an old retired sound editor who said they used to leave a few frames of silence in the track just before a big explosion. In those days they would 'paint' out the optical sound with ink. Then I thought of the airlock entry sequence in 2001. I guess the seeds were there for me to nourish when it came to the seismic charges." Burtt was among the golden ears that critically reviewed the various audio compression systems that were proposed for the ATSC 1.0 digital television system. A tongue-in-cheek homage to Ben Burtt appears in the 1997 Activision PC game Zork: Grand Inquisitor - the spell 'Beburtt', which 'creates the illusion of inclement weather', plays dramatic thunderclap and rainfall sounds when cast. Burtt directed several IMAX documentary films, including Blue Planet, Destiny in Space, and the Oscar-nominated Special Effects: Anything Can Happen. He edited the entire Star Wars prequel trilogy, and several episodes of The Young Indiana Jones Chronicles. Burtt is also credited as the writer of several episodes of the 1980s Star Wars-based cartoon, Droids. He makes a cameo appearance in two of the Star Wars films as an extra. He appeared as Colonel Dyer in Return of the Jedi (the Imperial officer who yells "Freeze" before Han Solo knocks him off a balcony. Incidentally, his scream as he falls seems to be his own imitation of the Wilhelm that he popularized.) and in Star Wars: Episode I – The Phantom Menace as Ebenn Q3 Baobab (appears in the background near the end when Padmé Amidala congratulates Palpatine). Nominated: Voice Acting in a Feature Production in 2008 for Wall-E.
Burtt was awarded the Doctor of Arts, honoris causa, by Allegheny College on May 9, 2004. The Hollywood Post Alliance awarded him with The Charles S. Swartz Award for outstanding contributions to the field of post production. ↑ Holman, Tomlinson. Sound for Film and Television. New York: Focal Press, 2010, p. 145. ↑ "Sound Design of Star Wars". Retrieved March 9, 2014. ↑ filmreference.com (2008). "Ben Burtt Biography". NetIndustries, LLC. Archived from the original on 14 September 2008. Retrieved October 25, 2008. ↑ "The 81st Academy Awards (2009) Nominees and Winners". oscars.org. Retrieved 2011-11-22. ↑ "The 62nd Academy Awards (1990) Nominees and Winners". oscars.org. Retrieved 2011-10-17. ↑ "The 56th Academy Awards (1984) Nominees and Winners". oscars.org. Retrieved 2011-10-09.